There was a time when no one could touch the talent of will.i.am, and if we’re being completely honest it was not that long ago. 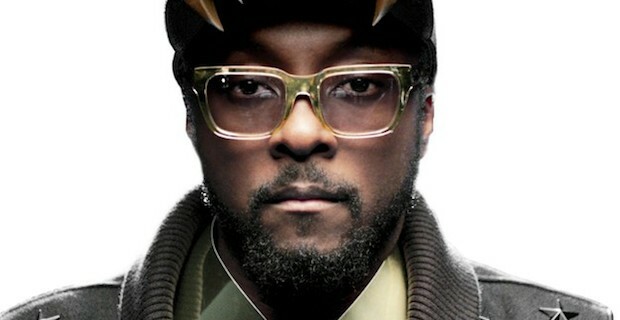 Black Eyed Peas were topping the charts with a new song every month or two, shows were sold out, and every company looking for an endorsement was (likely) knocking down will.i.am’s door hoping to slap their logo on his next project. Will eventually decided to step out on his own, and for a long time people believed he would be even bigger than fellow BEP member Fergie. Then singles started to find their way online, and slowly that faith that once felt so strong began to fade. The catchy lyricism and groovy instrumentation had been replaced with a failed exploration into what the next trendy sound could be, and faster than Will could come up with a gimmick that actually worked his solo effort sunk on the charts. Now he’s back with another album in the pipeline, and earlier today the first single found its way online. “Feeling Myself” pairs will.i.am with Miley Cyrus, Wiz Khalifa, and French Montana against pulsating futuristic production from DJ Mustard. The focus of the song is about being so intoxicated in the club that the only thing on your mind is how awesome you are being in that very moment. You’ve earned it, after all, and now you and the closest room full of drunken strangers are going to grind all over one another until the DJ tells you to go home. Hell, you might even pop some molly with Miley and roll a blunt with Wiz. This is your night, and no one can tell you that you’re not awesome. That’s right, the guy who helped get it started because he had a feeling about a night being good now wants to celebrate how great he is for thinking of those oh-so-clever hooks before anyone else cashed in on the bankability of mindless repetition.will.i.am knows not everyone feels that way about his music however, and that’s why he’s brought along three of the most tweeted names in music to help push a few more spins at top 40 before ultimately losing in a ‘battle of the new song’ call-in contest against the next One Direction single. None of them bring anything to the table you haven’t heard before, and most of it has been said better on at least a dozen other songs. You can stream the track for yourself below. If it’s possible for a group of pop stars likely working out of separate studios to collectively phone in a single then that is exactly what has happened with “Feeling This.” will.i.am has gone from being on the forefront of pop music to barely staying on the bandwagon, and it’s getting more disappointing with each release. I’m holding out hope he can still craft a catchy song, but with tracks like this it won’t be long before he quits music to become a reality show staple.